Have you ever heard senior management make that complaint? I have at many companies around the world and from executives in many different industries. 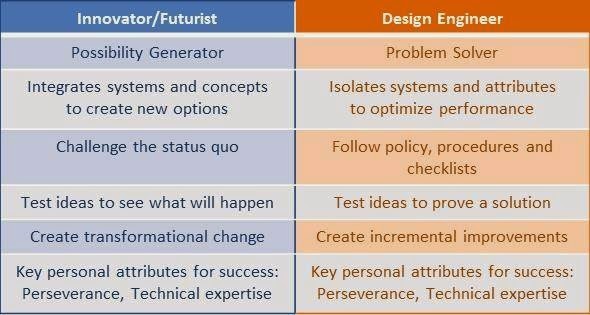 Well, to answer that question I would like to contrast the typical innovator with the typical design engineer. I have worked with dozens, even hundreds, of both types. And although these tables are a composite caricature, I think they are pretty accurate. The innovator is a possibility generator whereas the engineer is a problem solver. Let’s say your business is facing a problem that needs to be solved quickly for you to continue to grow. If you picture a funnel, the innovator sees the funnel constantly expanding to more and more ideas. They are thinking of multiple options for addressing the problem. While the engineer is holding the funnel the other way and narrowing down possible options to a single viable solution. The innovator is often connecting diverse systems and concepts to create totally new connections with new applications. The engineer is isolating systems and attributes to resolve a problem or optimize performance. Innovators often love challenging the status quo. They try unconventional approaches. Some work, many don’t, but each leads to another idea. The engineer has been trained to use the discipline of following the best practice procedure or professional standard to minimize failures and ensure the result is compliant. The innovator brainstorms an idea and runs some tests to see what might happen. The innovator is trying to expand their knowledge of how products and systems could perform. The engineer analyses a problem, develops a solution, and runs some tests to prove that the solution works as expected. The engineer is demonstrating that they already have the knowledge to understand how the products and systems will perform. The innovator’s ideas often require transformational change to a company or industry – and culture change is always long and dangerous. The engineer’s ideas are often incremental changes to improve performance of an attribute of a well-established product or process. This improved performance is welcomed by both the customer and the company management. An interesting element of personal characteristics is that both successful innovators and engineers are technical experts and display the character quality of perseverance. So if the character qualities are the same, why aren’t more engineers innovative? Let's look at the other characteristics. Does your organization reward and recognize people who have lots of ideas that upset the status quo, raise more questions than they answer, and often result in test failures? Or does your organization reward and recognize people who generate a solution to problems that works well the first time with the current systems? In addition to the management systems, our universities teach and train engineering, not innovation. I am not aware of a school that offers a technical degree in innovation. They may have an MBA for entrepreneurs, but that focuses on risk management, venture capital markets, and recruiting a team. It is not focused on technical innovation. So what is the answer? If engineers are problem solvers, then reframe the problem so that the answer requires innovative solutions instead of incremental solutions. Today when a company initiates a new product development project it often starts with the engineers turning to marketing and asking, “What is the problem?” “What does the customer want the product to do that it does not do today?” This leads to minor enhancements on existing products, not innovative new product categories. The engineers demand a set of fixed requirements to start the project. Instead, the engineers should work with customers and customer experience data to determine what the customer would “like” to do, which is often not what the customer is actually doing. 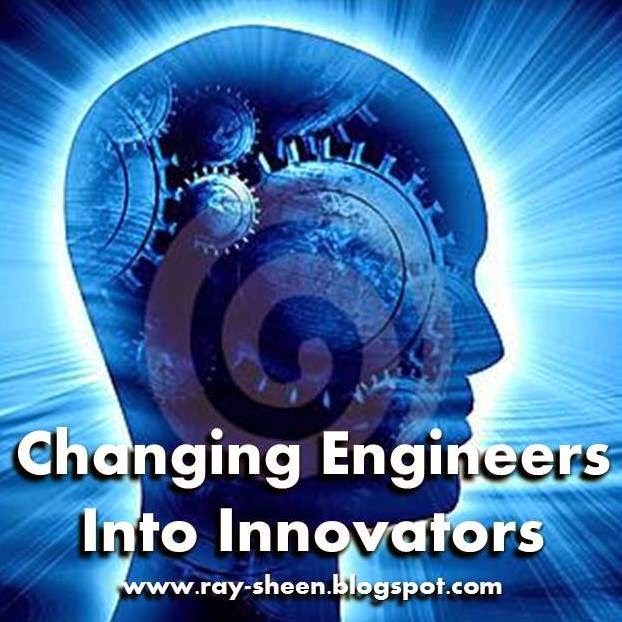 For engineers to become innovators, they need to start with the assumption that the product as it exists today is a generation behind in the required technology and then rethink how best to provide the customer with a product or system that lets them accomplish their goal. This will change how they use their technical problem solving skills. They won’t be trying to fix the product; they will be trying to fix the customer experience. That will lead to innovation. You have probably heard engineers or scientists say, “You can’t schedule innovation.” This is their first line of defence (or excuse) when reporting a schedule delay on a new product development project. And of course the rejoinder by senior management is, “We have a window in the market and we must launch the new product in that window.” The project team then goes into turmoil and often things get worse to the point of project failure or a major reduction in project scope in order to get “something” released to the market during the market window. This scenario plays out again and again in many companies. And the reason is because the disciplines of project management are incompatible with the realities of innovation. 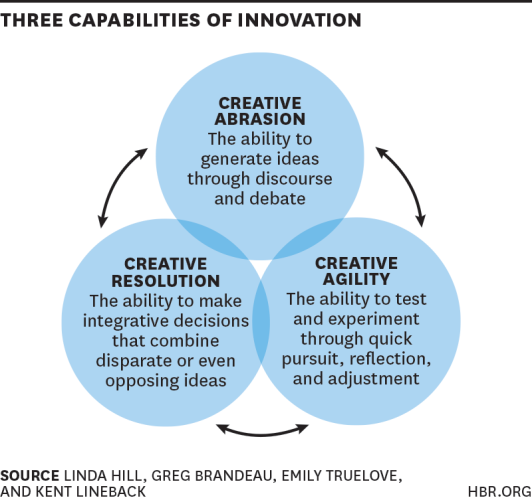 A recent article by Hill, Brandeau, Truelove, and Lineback in the Harvard Business Review, “The Capabilities Your Organization Needs To Sustain Innovation,” explains the key components of an innovative environment in companies. They use both Edison’s Menlo Park from the last century and modern day Pixar as examples. In their article they highlight three capabilities of an innovative organization that work synergistically with each other. However, these three capabilities contradict some of the project management “best practices” that are embedded in many company’s New Product Development (NPD) project management methodology. Let’s take a look at each one. The authors use the term “Creative Abrasion” to explain the collaborative problem solving process. They say that this process “involves and should involve passionate discussion and disagreement.” This can be emotionally difficult for some and will often be perceived as conflict on the team. While the authors say that this good and needed, many NPD methodologies seek to remove and eliminate this type of debate and conflict. The reliance on specifications, contracts, and signed agreements serve to close off debate. The problem is defined; the solution is defined; there is no reason to discuss anything. The authors use the term “Creative Agility” to explain the trial-and-error discovery process. A key element of this capability is to quickly move from one experiment to the next, taking the lessons learned in one experiment and building on those in the next. However, the planning process in most NPD methodologies requires that the project team define all of the tests and experiments that will be needed during planning. Of course they don’t yet know the results of the tests and experiments, so they must assume what the results will be in order to plan any follow on tests. This creates several problems for the project team. First, they must explain to management why they need all of the tests and experiments in order to get their plan approved. It is difficult to defend what you can’t define, so the schedule and budget are often under-estimated. Second, if they start their experiments and the results lead them down a different path than what was in the plan, they either must follow a path they know is wrong or change the project; which is often a bureaucratic headache and viewed as a failure by the team to plan well. So to avoid these problems the team plans a project with little or no innovation, leading to an inferior product that does not meet the product performance goals, but does meet the cost and schedule goals. While being applauded for their project management skills, the actual project results are a failure. The authors use the term “Creative Resolution” to explain the process of integrating ideas in unexpected ways to create an innovative product. This integration process requires an openness to explore ways to integrate multiple incompatible options into a solution that has capability that goes far beyond the capability of any one option. This normally requires time to create and test alternatives that integrate the various options in new and unique ways. However, NPD methodologies often require a solution concept to be determined early in the project, before significant testing or analysis is done. This is part of good project risk management, to resolve the risk questions as early as possible. In most cases, this leads to the selection of a concept that already exists and is not truly innovative. So how do we modify NPD methodologies so that they embrace these innovation capabilities? There are two approaches. One plan is to separate Innovation from NPD. Have an innovation methodology that focuses on encouraging that maximizing these capabilities. The result of the innovation project is a proof of concept with a working prototype and analysis that is used as the starting point for NPD projects. Some organizations with stand-alone R&D centers, like General Electric, use this approach. The second plan is to change the existing NPD methodology to eliminate the prescriptive planning and forced low risk decision-making and allow the project teams to innovate using these innovation capabilities. The Agile/SCRUM approach is an example of organizations attempting this with software development. In both cases it will take senior management leadership to lead the way. They must determine whether they want innovative new products or they want to be the fast follower to the market. 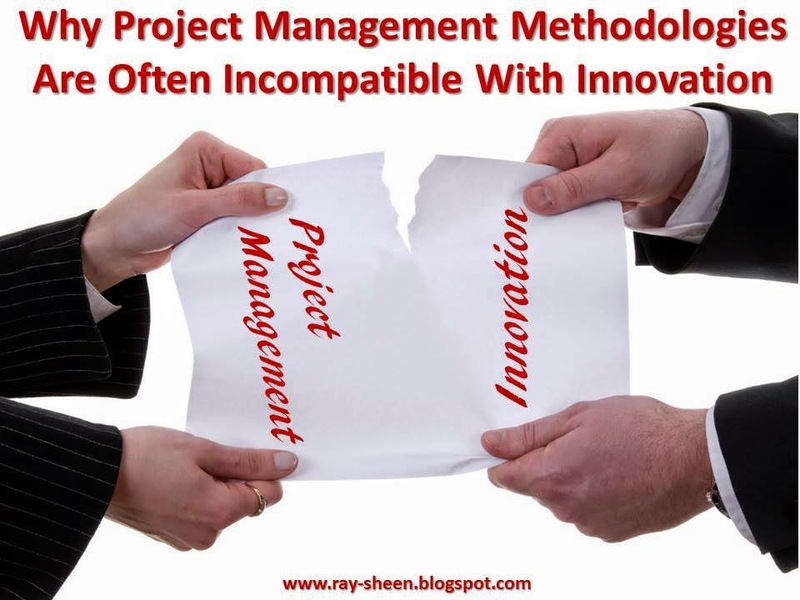 If they want innovative products, they need to change the NPD approach, which includes how they plan projects and the oversight expectations for the project team. Finally, if they change their approach to rely on these innovation capabilities, they must also ensure their people are trained and have the resources to actually do creative abrasion, creative agility, and creative resolution. I am a history buff, in particular the history of the American War Between the States (aka Civil War, aka Second War of Independence). 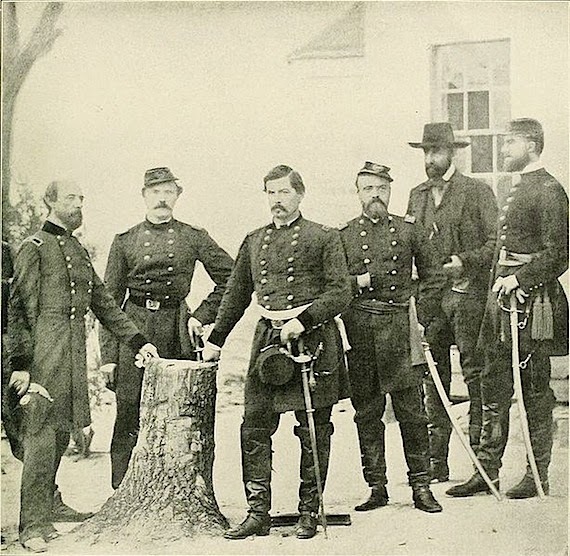 I saw a recent article by Michael Hyatt that talked about the characteristics of weak leaders and used Union general George McClellan as the example. I see the five characteristics that Hyatt identified running rampant in businesses today. It is no wonder so many companies are struggling when managers are spending so much time hesitating, complaining, and ducking responsibility. Look at your organization. Do you see managers displaying the characteristics in this article? 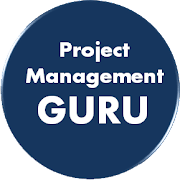 A project risk is any uncertain condition or event that could either be a threat to the project’s ability to achieve project objectives (negative) or an opportunity to improve the project’s ability to achieve the project objectives (positive). Traditionally when people talk about project risk management they are discussing managing negative risk. We will look at some best practices for that at another time. Today I want to discuss how to manage positive risk. Positive risks, or opportunities, are often missed because no one was looking for them. Then after the fact someone will say, “We could been done in half the time if only we had …” Or someone will identify an opportunity part way through the project, but the impact of changing to a new approach offsets any of the gains from the positive project risk. Positive risk management looks to find and incorporate all those opportunity ideas into the project plan in a proactive and controlled manner. 1. Identify the risk. Use whatever tools, techniques, templates, or experts to identify risks. One of my favorite is to ask the project team of subject matter experts, “What would have to happen for us to finish this project in half the normal time?” or half the budget, or some other stunning success. Asking those questions will lead to a list of things – some of which are unmanageable, but some are. 2. Prioritize the risks. Risks are not equal in either their probability or their impact. I often use a risk matrix to prioritize risks. We will talk about Risk Matrices in depth at another time. The risks I am looking for at this point are those positive risks that could have a high impact on project success, but have a low probability. It is those risks that we will act on in the next step. 3. Create a Risk Response Plan. For the high impact but low probability positive risks, we consider what we can do to improve the probability. This may mean we go back to our stakeholders and ask for a modification to the Project Charter and change some of the project’s boundaries or constraints. This may mean that we change the resource assignments to take advantage of a one-time availability of a resource. This may mean making a decision earlier or later than normal so that the positive risk path opens up. Consider what needs to happen to increase the probability that the opportunity will be realized. 4. Implement the Risk Response Plan. This should be obvious. But I often hear in Lessons Learned sessions someone talking about an opportunity that was missed and another project team member speaks up and says, “We talked about that, but we never got around to doing anything about it.” Unless the project plan is modified to incorporate the risk response elements, it won’t happen. If the opportunity risk is a contingent risk, then you must create a triggering mechanism to let you when the opportunity exists, or you will be so focused on the existing project plan that you will never see it. Here are two hints when doing positive risk management. Make sure you do your positive, opportunity risk identification early in the project planning process. If you wait until the project is underway, the impact and cost of changing the project to take advantage of the opportunity will be much higher and may out-weigh the benefits. Also, some positive risks may have a very short window of opportunity. If you aren’t looking early in the project, by the time you identify the opportunity, it may already be too late. If your project is a phased project, repeat the process of looking for positive risks at the beginning of each phase. Business conditions may change or the results of activities in earlier phases may open up opportunities that didn’t exist at the beginning of the project. 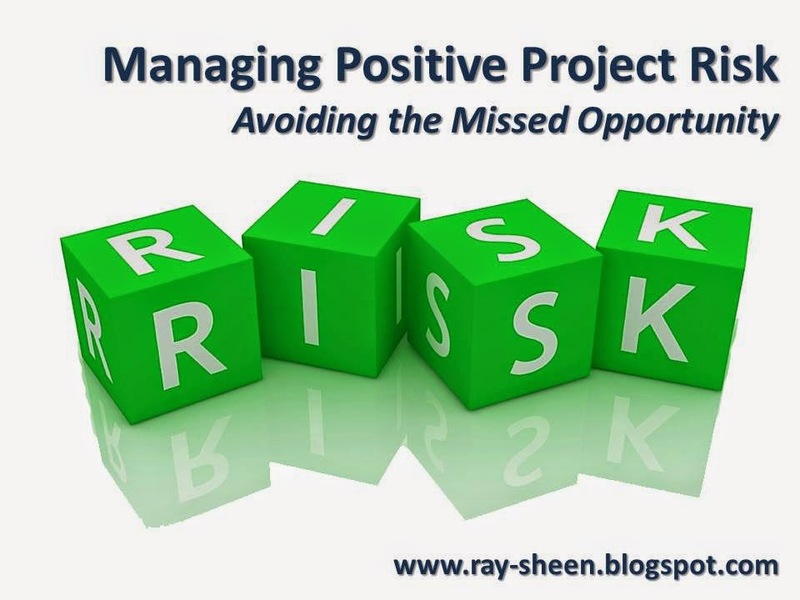 Positive risk may seem like an oxymoron, but I have seen large multi-year, multi-million dollar projects complete in less than half the planned time and budget by finding and leveraging opportunity risks. The path for innovation has changed over the past several hundred years. Industry competition has evolved from the Industrial Age to the Information Age and is now entering the Relationship Age. With this evolution, the focus of innovation is also changing. Let’s take a look at the business environment during the past few hundred years. By the early 1800s we were into the industrial age. Steam power was transforming industry and economies. Instead of individual artisans and master craftsman, factories were springing up that used steam power. Steam power magnified what men and animals could do. With the industrial age innovation, machinery and products were invented that could do things faster, stronger, longer and more reliably than the manual methods. By the middle of the 19th century, steam was on the move. Innovation placed steam power into locomotives and steamboats. These connected markets with safe reliable transportation. Now a product designed and built in one location could be quickly and easily transported hundreds, or even thousands, of miles away and put into use. At the dawn of the 20th century there was the advent of mass production and now the industrial age was in full swing. Products of ever increasing complexity and performance could be designed and built reliably and at a low cost. They could then be delivered to distant customers. The speed and efficiency of the manufacturing and logistics process were the innovative keys to success. By the middle of the 20th century several innovative products were bridging the gap from the industrial age to the information age. The telephone made instantaneous communication inexpensive and reliable. The airline industry brought people face-to-face across whole continents in just hours instead of days or weeks. Finally television transformed the news and communication of current events and entertainment. All of these led to people expecting instant reliable communication. The information age began to grow beyond the consumer segment. Customers wanted the industrial age products, but they also wanted real-time information about those products. Products had to undergo a digital transformation so they could communicate with each other and provide real-time status. The collection and distribution of data and information created multiple innovtive industries. For instance there are now communications satellites that enable global communications, weather satellites collect and analyze global weather data, and the global positioning satellites have created an industry and functionality for numerous products. The microprocessor and the World Wide Web have made this information instantaneously available to customers and businesses everywhere. So every product is becoming digitized and the interconnection of systems and databases is a key product or service component. Whether it is personal computers, production line equipment, airplanes or cell phones, if your product or service is not connected, you are not visible in the market. As we approached the end of the 20th century, information age functionality was no longer enough. Whether it was the B2C or B2B environment, customers were overwhelmed with data. In addition, some of the data and information was biased or filtered by the information provider. While there was a steadily growing demand for more data, there was a steadily diminishing trust and confidence in the data. And this has spawned the birth of the relationship age. In most cases, the product is now a commodity. There are numerous global competitors with essentially similar products. These products are at the peak of their industry from both and industrial age and information age functionality. What the customers now wanted was two things. The first was to get data and product performance just the way they wanted it. They wanted it when they were ready to consume the data. They only wanted the data they were interested in. They wanted it in a format that was easy for them. They wanted the product to be configured for their unique application. Secondly, they wanted to connect with a network of others that have similar interests or concerns to compare findings and share experiences and best practices. To meet these two customer wants, relationships are needed. A relationship between the customer and the seller to customize the product or service offering in such a way that it is convenient and meets all the customer data and functionality needs. And a relationship between the product or service providers and users or those who are like-minded to co-create and encourage one another. The companies that have understood the dynamics of the relationship age are now flourishing. Companies like Amazon, Apple, and Facebook. On Amazon, every customer’s page is different based upon the interests they have shown in the past and their current requests. Amazon customers can choose their products, payment methods, and delivery. In addition, there are customer reviews including likes and dislikes available for every product or service; and a customer can quickly and easily enter their own review. The innovation is in the customized order entry and delivery process. Apple smart phones have thousands of apps available. The phone itself is a commodity - the value-add for the customer is in the apps. Each customer can pick and choose which apps they want and when to use them. Some of these apps provide ways to further connect with other users. The innovation is the easy enablement of tens of thousands of apps. And Facebook allows the user to decide who is in their network and what content they wish to share. Their Facebook page can be customized to filter what they see from others. The innovation was the creation of a relationship platform that is robust and customizable. 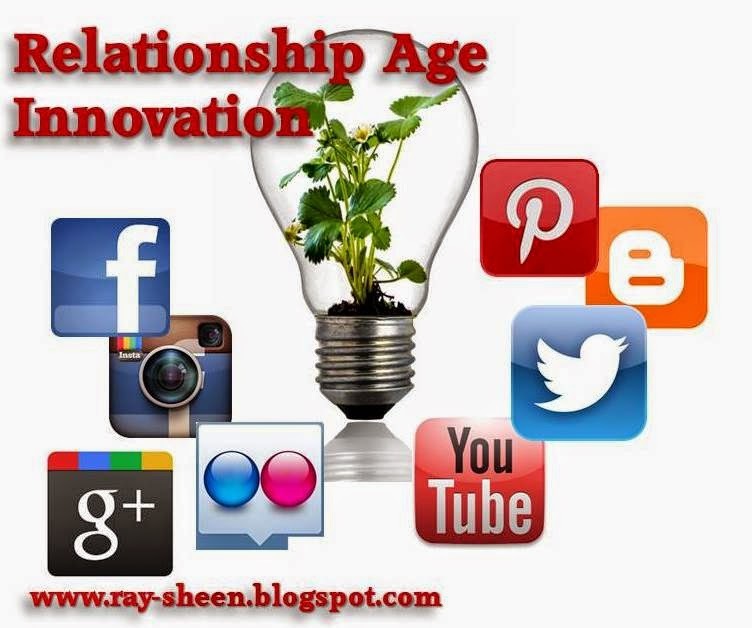 Keep in mind, the industrial age and information age product characteristics don’t go away in the relationship age. It’s just that those characteristics are now assumed to be there. They have become the commodity portion of a product. The differentiator, and therefore the value creation element, is in the enablement of relationships. This is where the innovation must now occur. Innovation that ekes out another 2% increase in performance does not create a significant market impact like an innovation that creates relationship capabilities. Customers now want innovation which allows total customization while maintaining high levels of quality and performance. And customers want innovation which enables real-time communication with the manufacturer, the seller, and other users. Those companies that recognize this shift in the direction of innovation will create tremendous value; value for both their customers and themselves.